Click on the link (1) in the first column of the table with subdatasets. The link will take you to the page of the data provider. It can be any of the NORMAP partners. If the data is served via THREDDS protocol the generated page will look similar to the image below. It contains the following links: (1) access data via OpenDAP protocol; (2) download the file to your PC; (3) access data via WMS protocol; (4) access data via WCS protocol; (5) view and manipulate the data using Java based local viewer ToolsUI; (6) view the data using web-based viewer GODIVA2. 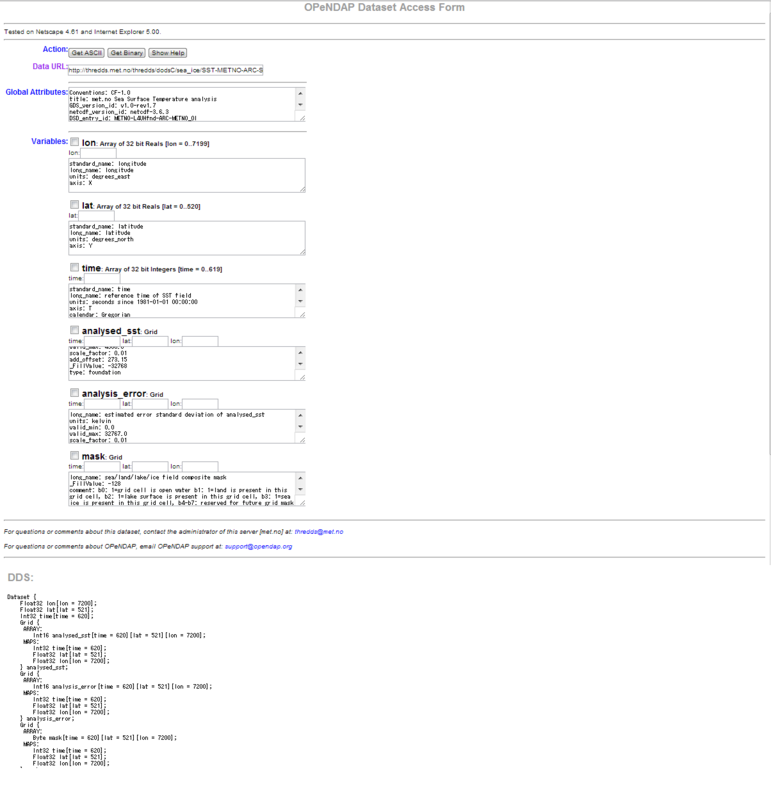 The OPeNDAP page shows you the data URL. This URL can be inserted in an application which support OpenDP access to data (i.e. Matlab or Python). 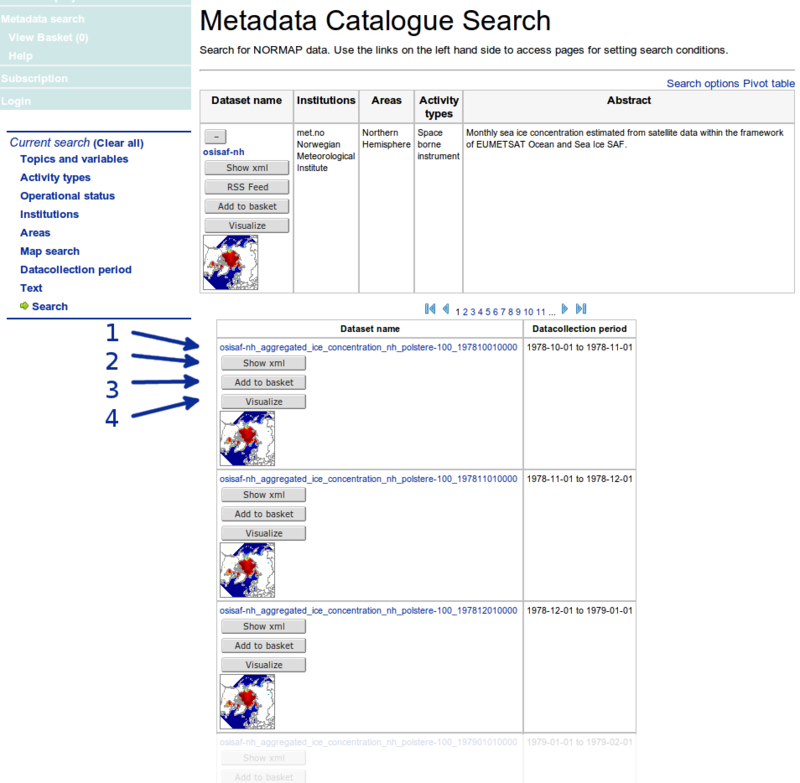 It also shows global metadata and information about each variable: name, dimensions, metadata, etc. The buttons allow to download data in ASCII or binary format but we recommend to use these features with caution: the THREDDS server may provide very large output from the data files provided by NORMAP and that may stop your browser. Read more about THREDDS and OpenDAP. Copy the 'Data URL' from the previous example and paste into the following Matlab script. The script will list the content of the remote dataset and read array of required variable. 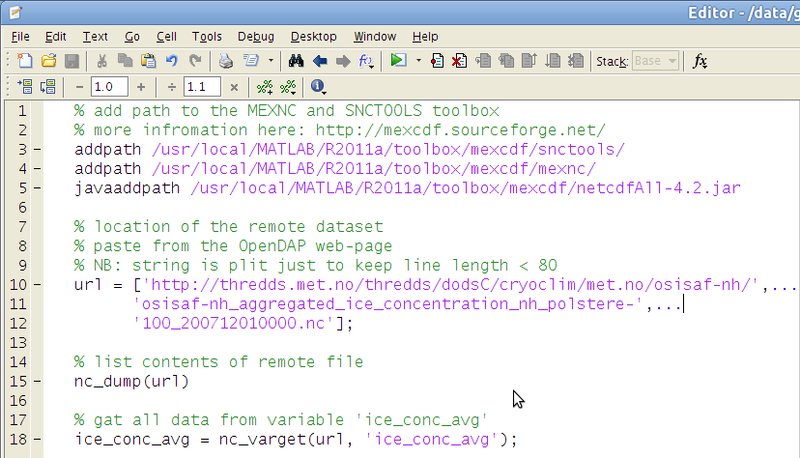 The script uses the SNCTOOLS toolbox. If you prefer Python, paste the 'Data URL' from the previous example into the following Python script. The script will list the content of the remote dataset and read array of required variable. 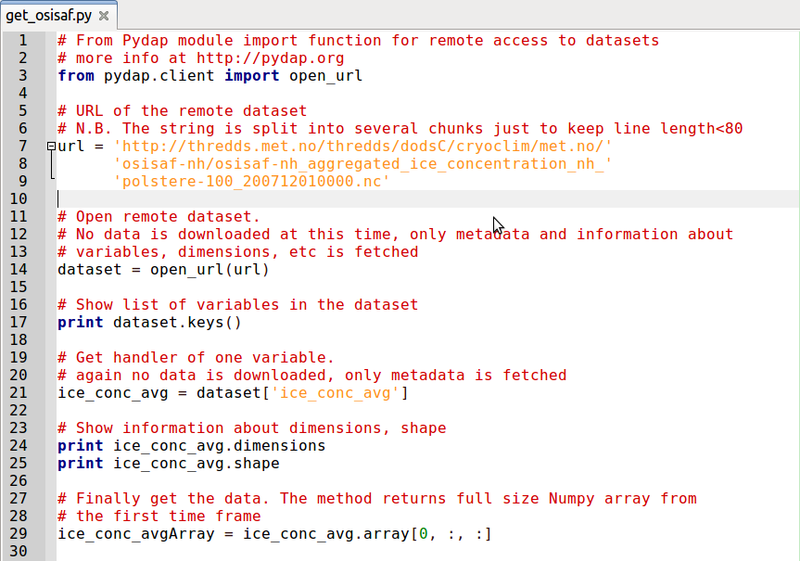 The script uses the Pydap module. If you click on the HTTPServer link on the download page, the NetCDF file will be downloaded to your computer. Read how to open this file for further processing in our tutorial. The provided WMS and WCS XML files are rather machine interface to the NORMAP data. These links could be used for on-the-fly embedding of the maps with data into a web-site or into a GIS. Click on the NetCDF Java ToolsUI will download and open a Java Web Start Application ToolsUI. That application allows to view and partially download data from the server. Read more about ToolsUI. Click on the Godiva2 will open a web-page with the default NC/WMS viewer Godiva2. 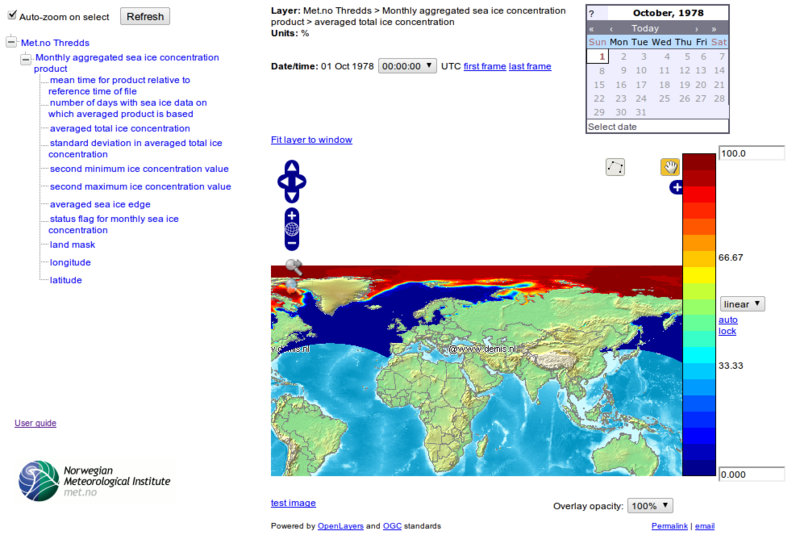 The browser shows the world map with overlay of the products. It allows to select one of the products to show, to choose min/max and style of the color legend, zoom and pan the map.